The number of job titles and descriptions at agencies that deliver digital marketing solutions is an ever increasing list. What are the roles involved and where do they fit in in the digital product cycle? 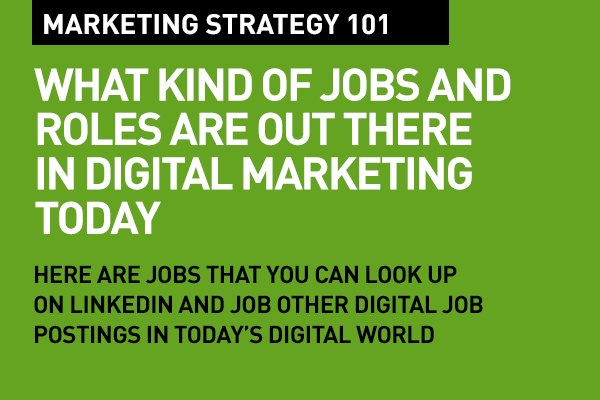 Ever day in this connected age of marketing, we see new points of engagement come to the foreground, and naturally new positions are created, or current roles are customized to address the new areas of focus. Here's a starting-point list of the most common job titles and roles at advertising, media, social media and specialized digital services agencies, and at brands these days. While the highly specialized roles usually are at agencies, a lot of brands are bringing some of the key roles in-house.